January 3, 2019, © Leeham News. : The last year was a quiet year for the airliner side of Irkut Corporation (Irkut). It continued testing its two MC-21 single-aisle airliners and rolled out the third test aircraft. Behind the scenes, there were larger changes. Irkut was handed the shares of Sukhoi Civil Aircraft Company (SCAC), the designer and producer of the Superjet 100. The move is part of merging the Russian airliner industry into one company. During 2018, United Aircraft Corporation (UAC), the parent of Irkut and SCAC, started the consolidation by moving all new airliner projects to Irkut, including the CR929 widebody project with China. The consolidation will continue 2019. Consolidating the disparate airliner projects within UAC makes sense. The competition is International, not Irkut versus Sukhoi, Tupolev or Ilyushin. Will this improve the checkered fortunes of Russian airliner business? It’s the right move to get away from 70 years of Soviet isolation and rules of business. But it’s not the last change; more is needed. The coming year will be crucial for the SSJ100 to find its model for how to support Western airlines. Interjet went half OK but CityJet didn’t. Will Adria be better? 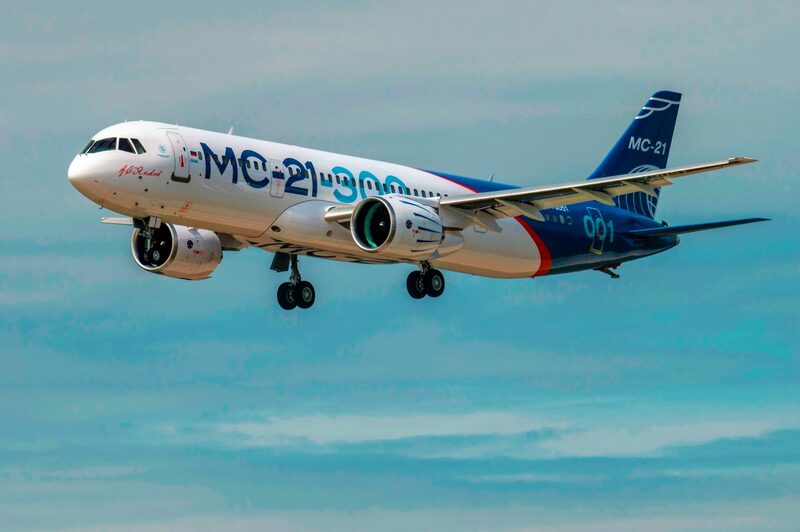 It’s also an important flight test year for MC-21, which needs to pick up speed to certificate in 2020. The CR929 widebody is now an Irkut project. Will the change improve the chance of keeping the time plan? Dec. 3, 2018, © Leeham News: Safran, the French company that is a 50% partner in CFM International, believes Boeing will launch the New Midmarket Airplane next year. Safran held its investors day last Thursday. Engine company responses for proposals are due this month to Boeing. CFM, Rolls-Royce and Pratt & Whitney are competing for the engine selection. November 16, 2018, ©. Leeham News: In the last 14 Corners we have discussed the challenges facing the new SuperSonic Transport (SST) projects, 50 years after the Concorde took flight. 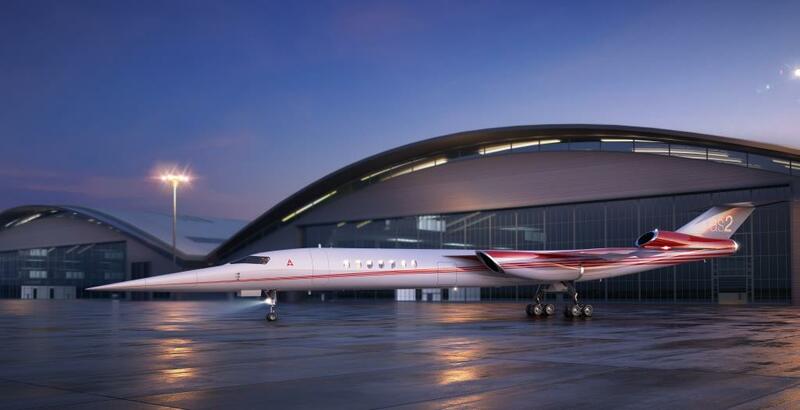 The challenges facing projects from Aerion Supersonic, Boom Supersonic or Spike Aerospace are the same as for the Concorde. In the wrap-up of the series, we go through the challenges and talk about which has gotten easier to solve with modern technology and which has gotten harder because of changing environmental standards. Figure 1. The new SST project which has come the furthest, the Arion AS2. Source: Aerion Supersonic. November 2, 2018, ©. Leeham News: In last week’s Corner we looked deeper into the fundamentals of the Mach 1.4 engine of Aerion’s AS2 SST, the GE Affinity. Now we start looking at engines for a faster SST, up to the Mach 2.2 of the Boom Supersonic project. Figure 1. 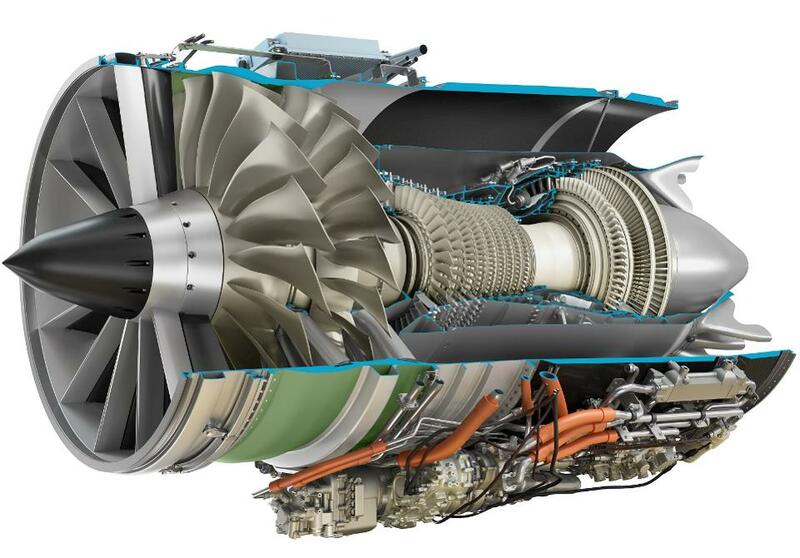 The GE Affinity medium bypass Turbofan for Aerion AS2. Source: GE. Oct. 29, 2018, © Leeham Co.: Airbus faces a key disadvantage when it comes to winning current wide-body campaigns against Boeing. The disadvantage is entirely out of its control. It’s not about whether the A330neo or A350 vs the 787 economics are out of kilter. They’re not. It’s about the engines, LNC is told by multiple market sources. Specifically Rolls-Royce engines, which exclusively power the Airbus wide-bodies. Airlines affected by Rolls-Royce-powered 787 problems are hopping mad. The negative halo effect puts questions over the Trent 7000-powered A330neo. While less affected, there is a negative halo effect over the Trent XWB-powered A350. Airlines considering follow-on ordered of 787s are ready to jump from RR to GE. Oct. 29, 2018, © Leeham Co.: Engines, engines, engines. News emerged last week that Rolls-Royce admitted its continuing problems with the Trent 1000 that powers the Boeing 787 now bled over to the Trent 7000. RR will fall short of delivering the number of engines need to Airbus for the A330neo, meaning fewer deliveries of the airplane this year. Boeing said it is clearing its inventory of 737 MAXes, but CFM LEAP engines are still late, slowing the effort. October 19, 2018, ©. Leeham News: In the last Corner we discussed the temperature challenges an SST engine faces. Now we address an even larger problem for SST engines, the takeoff and landing noise. Figure 1. The GE Affinity SST Turbofan for Aerion AS2. Source: GE Aviation. Steven Udvar-Hazy, Executive Chairman, Air Lease Corp. Photo via Google images. 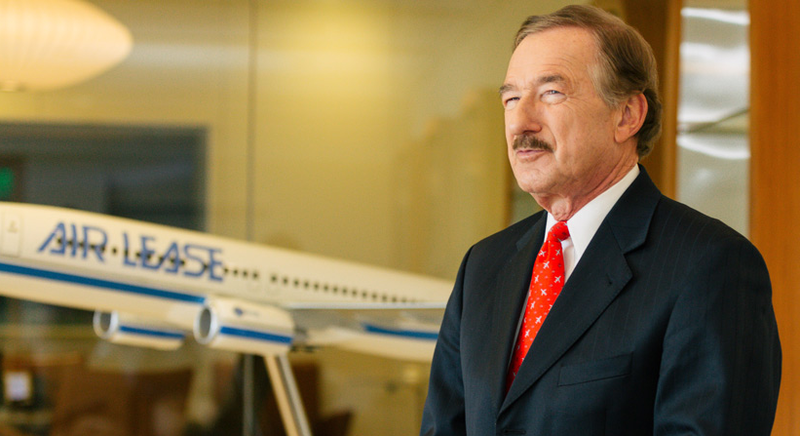 Sept. 13, 2018, (c) Airfinance Journal: Air Lease’s executive chairman Steven Udvar-Hazy says that Boeing could make a decision on whether or not launch the 797 model mid-year 2019. If so, the timing could coincide with the Paris Air Show. “In the NMA market, whether Boeing will launch the 797 is a ‘multi-billion dollars question’, he says, adding that right now the US manufacturer is assessing the engine availability. “There are two potential engines applications. They are all derivative engines,” he says at the UK Aviation Club Lunch on 13 September. 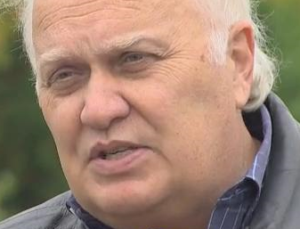 “We all know the problems that Airbus and Boeing have been going through with the new engines on the Max and the Neo as well as the 787s,” he adds. And for him Boeing is very ‘cautious’ on a decision. “They are trying to understand what is the real market demand for this aircraft and all indications points out to a decision sometimes in the middle of next year,” he says. The KC-46A received certification from the US Federal Aviation Administration and the first delivery is due for late October. Final military certification is still to come and the wing-pod drogues need certifying, but at long last, Boeing can move forward.